Calgary Jewish Federation’s Holocaust Education department invites you to participate in our newest initiative: Remember and Be the Light. On the evening of Thursday, November 8 and after Shabbat on November 10, please light a candle in your window to protest baseless hatred. Recent events have increasingly disturbed our tranquility. Your candle will serve as a symbol that you stand against words and acts of hatred and prejudice that have darkened our own community, our nation, our world. 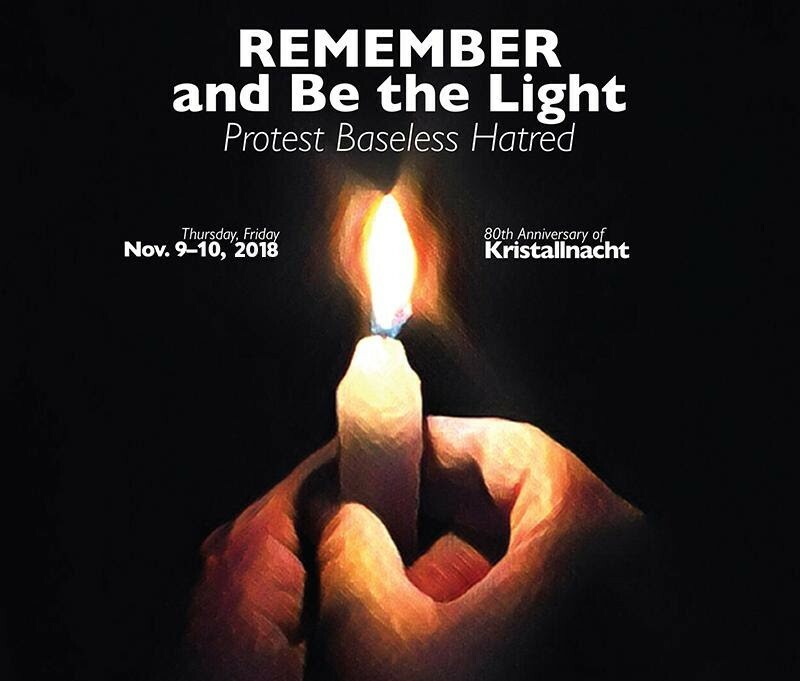 This year, November 9-10 marks the 80th anniversary of Kristallnacht (The Night of Broken Glass), when German and Austrian Jewish businesses and homes were looted; synagogues were burned down; and nearly 100 Jews were murdered and 30,000 more were detained and deported to concentration camps. This state-sponsored violence led to WWII with its unprecedented array of global destruction, dislocation, and the death of more than 60 million people of all faiths and ethnicities. What began as a unique tragedy for Jews ended as a universal tragedy of unprecedented proportions. The fires that were lit that night cast the world into a darkness that would last until the summer of 1945. Had most people not stood idly by on Kristallnacht, the conflagration that would soon envelope the world could have been avoided. Let us honor our collective history. Each person who lights a candle on Kristallnacht protests all baseless hatred. The light from our candles will serve as a reminder that this democratic nation in which we live, and to which we commend our future, is founded upon the precious principles of freedom, liberty, and justice for all.